2. 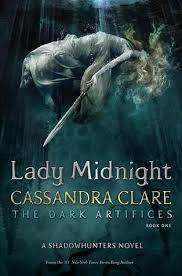 Lady Midnight by Cassandra Clare: Okay, so I may have fallen disastrously far behind in reading The Mortal Instruments (see above note about series reading…) but I’m excited to get into this one. I’ve heard great things about it from other bloggers oh-so-fortunate as to get review copies, and I’ve already got me a glossy new ebook version which I can’t wait to get into. 4. 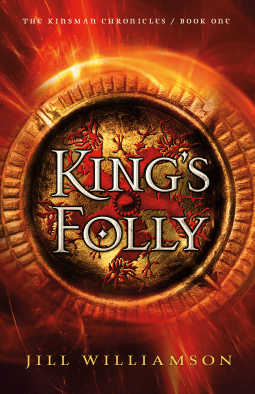 King’s Folly by Jill Williamson: I’ve read several books by Jill Williamson, but this one is bound to be something special. It’s a return to a beloved story world Williamson created in the Blood of Kings series, which I read long long ago. Okay, maybe not THAT long ago. But long enough in the past to justify intense nostalgia. So I’m excited for this one. 5. 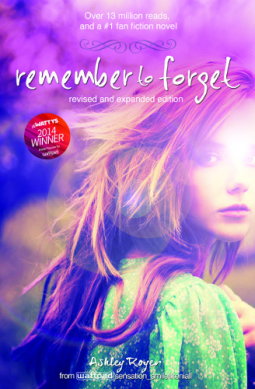 Remember to Forget by Ashley Royer: This is a contemporary YA novel about a boy recovering from the tragic loss of his girlfriend. I’ve been on a bit of a roll with reading stories about grief and trauma lately, and apparently I just haven’t had enough. I’m a huge fan of Laura Anderson Kurk, and the premise of Remember to Forget reminds me a teeny bit of Glass Girl. I’m always nervous to compare a new author with a fav, so hopefully that goes well. 6. 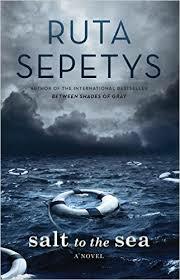 Salt to the Sea by Ruta Sepetys: Sometimes I feel like the only person who hasn’t yet read this book. I’ve seen SO. MANY. amazing reviews of this book. I wouldn’t list historical fiction among my favorite genres, but when I stop and think about it, I’ve liked almost every historical YA novel I’ve read, so I should probably reevaluate that. 7. 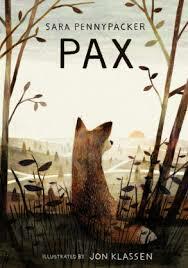 Pax by Sarah Pennypacker: Don’t judge me, but seriously every time I see the cover of this book, I REALLY want to drop whatever else I’m doing and immediately start reading it. I’m not usually a huge fan of books told from the POV of animals (she said, despite the fact that she LOVED The Underneath by Kathy Appelt) but there’s something really compelling to me about this sweet story about a boy and his pet fox. 8. 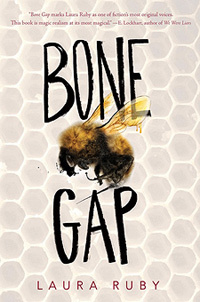 Bone Gap by Laura Ruby: This is another book that I feel like everyone else has read and raved about. I’ve got my very own copy, but it continues to languish while I read all these other books demanding reviews in a timely manner. Boo. Bone Gap, I will read you soon!!! 10. 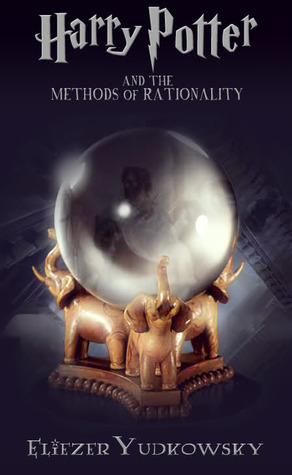 Harry Potter and the Methods of Rationality by Eliezer Yudkowsky: If you’re not familiar, this was originally a serial fan-fiction in which Harry is a Ravenclaw from a Ravenclaw family. So his approach to problems stems from a much more rational, methodical outlook, and of course, that alters much of the story. You can read it here. My husband RAVES about this probably at least once per week. We once agreed that if he read my favorite book (To Kill a Mockingbird. Yep. ), I would read this one. I still have time because he’s only actually read the first chapter of TKaM, and by read, I mean he listened to me read it to him. But still. Promises and such. 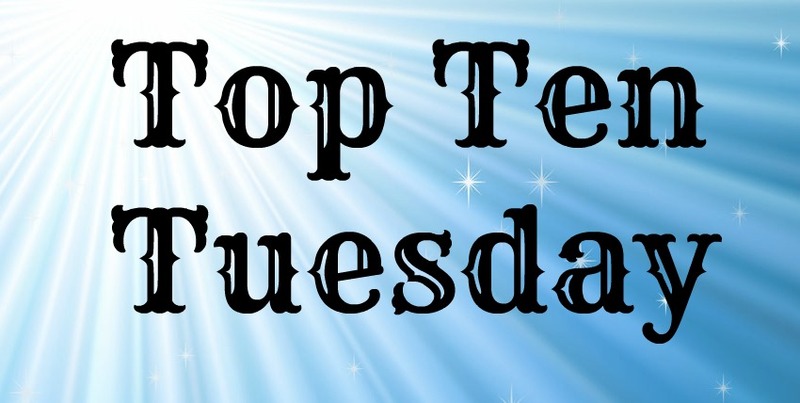 Tagged Spring TBR List, Top Ten Tuesday. Bookmark the permalink. I just finished Salt to the Sea recently and it was very lovely. I’d definitely recommend it! 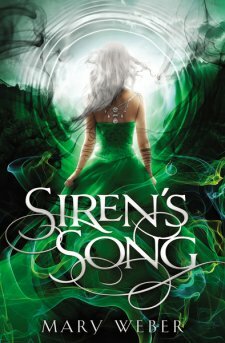 I also need to read the second Siren book. Thanks, Amy! It’s amazing how hard it is to keep up with all the good books. 🙂 Hope you enjoy the Siren books! 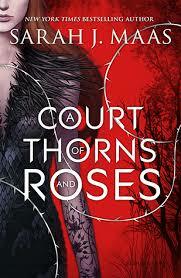 I hope to get to Salt to the Sea and A Court of Thorns and Roses this spring too. Hope you love The Raven King! (another series I need to catch up with) Happy spring reading! Thanks, Lucy! Hope we both find the time to catch up reading! Thanks, Jen! I’m glad you liked them both – it’s good to hear. Checking out your list now. This is such a great list! There are so many on here that I want to read, and a few I hadn’t heard of. Thank you for feeding my book addiction; I’m excited to pick some of these up! Thanks, Emma! Oooh – hope you’re enjoying Salt to the Sea. 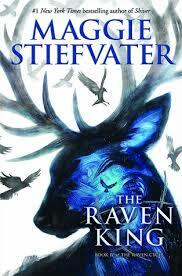 I got my mom hooked on the Raven books, so even she has been asking when it will be out. 🙂 So fun! I’m so excited to read The Raven King! I love that series, so I hope the ending will be glorious. And Salt to the Sea. I also feel like the only person who hasn’t read that book yet… I really want to though, so I hope you’ll enjoy it! Thanks, Jolien! I hope The Raven King is amazing, too. So much pressure in reading the last book in a great series. But so rewarding when it’s a good one. 🙂 Whew – I’m glad I have company in the Salt to the Sea camp. Hope we can both get to it soon.